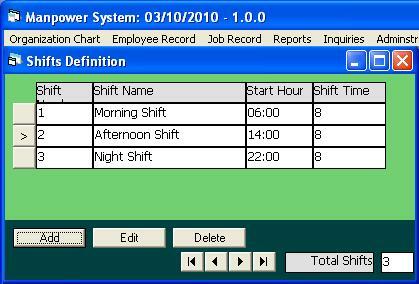 Personnel System is incomplete project but it is used in HMS to define Shift hours. Shifts are used in Hotel Front Office module in many aspects. The shift closing account statement is important to Hotel Manager.